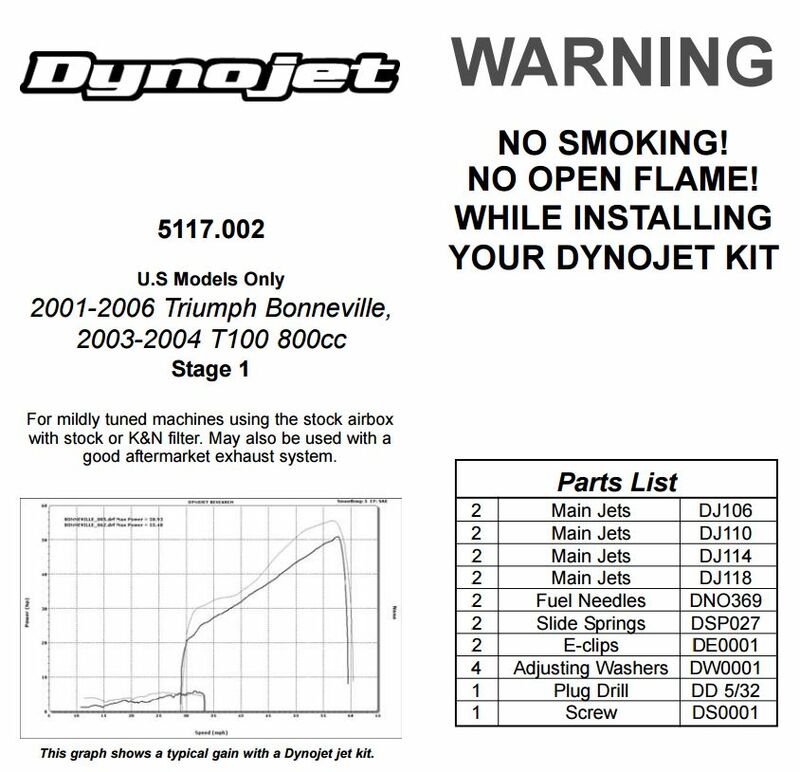 Earn up to 86 NewBonneville Bucks. 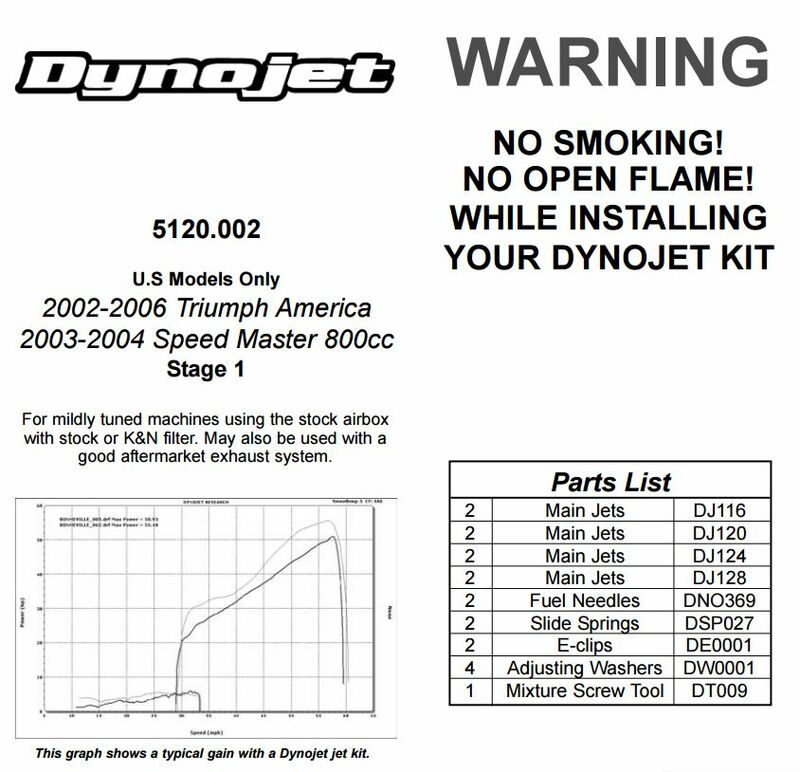 The DynoJet Jet Kits are specifically designed for each bike. 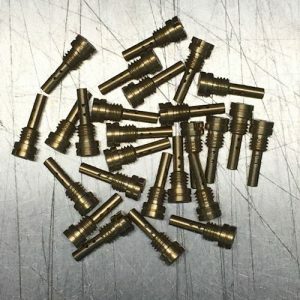 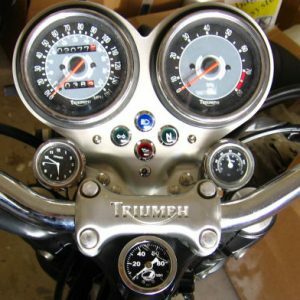 They include everything you’ll need to tune your bike the right way. 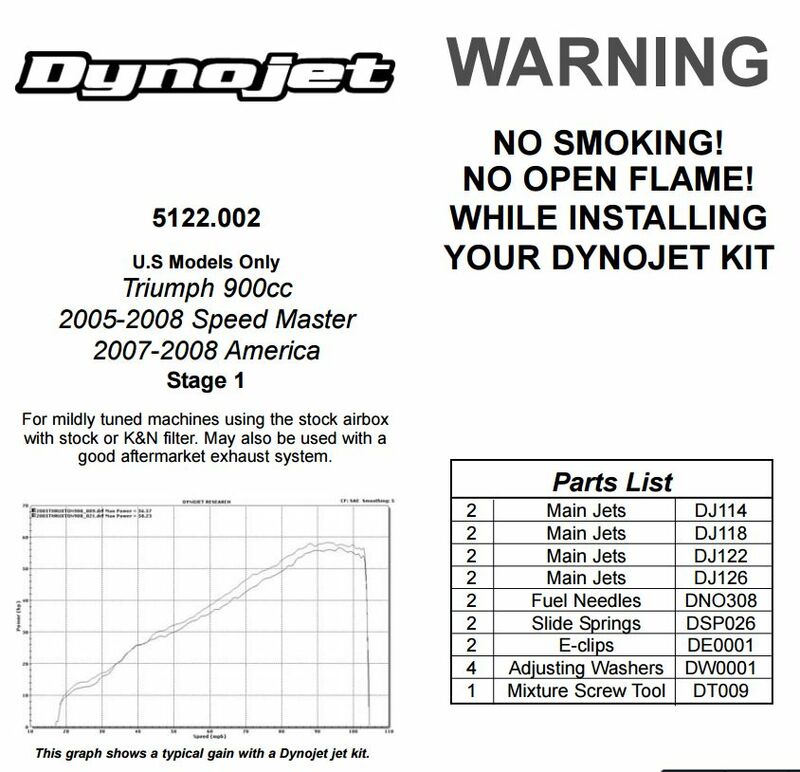 Each kit comes with 4 sets of jets, slide springs, adjustable needles, shims, and the required tools for adjusting the mixture. 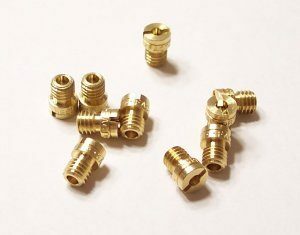 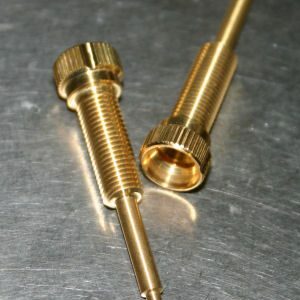 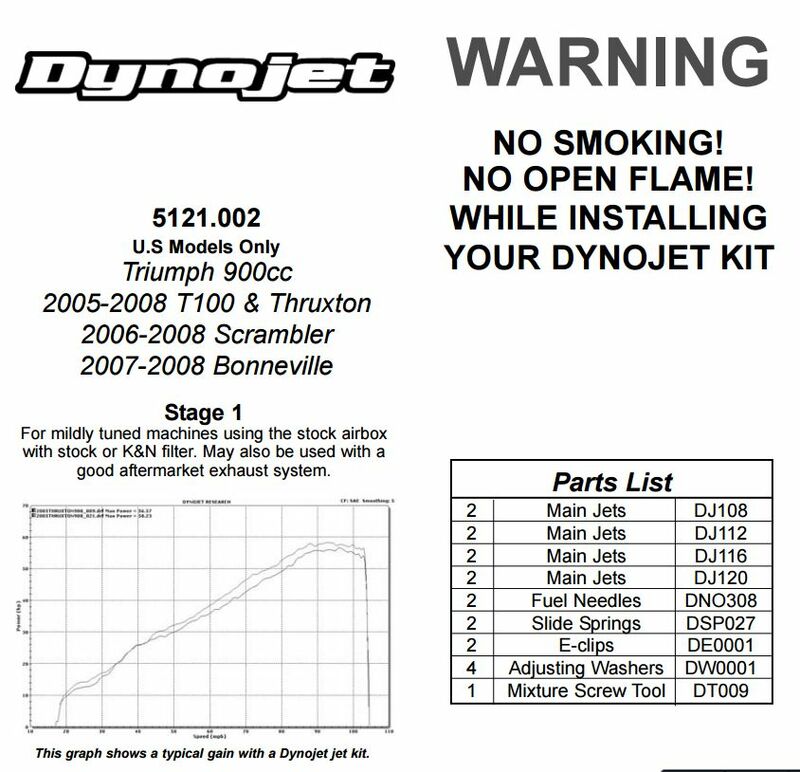 Dynojet Jet Kits increase power and smoothness throughout the entire rev range, while maintaining optimum fuel economy. 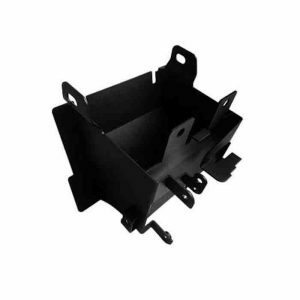 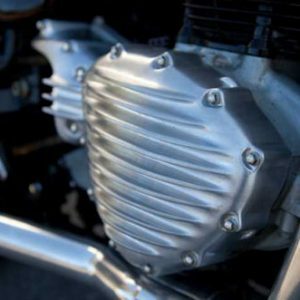 These kits are for bikes with the stock airbox (used with the stock air filter or UNI / K&N air filter) and aftermarket exhaust. 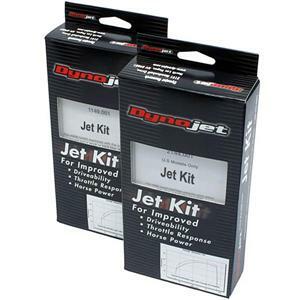 If you’re unsure of what jetting you need for your bike, the DynoJet Jet Kits are the perfect solution.